Roxanne Roxanne - She grew up in a tough New York neighborhood in the '80s and made history with "Roxanne's Revenge." 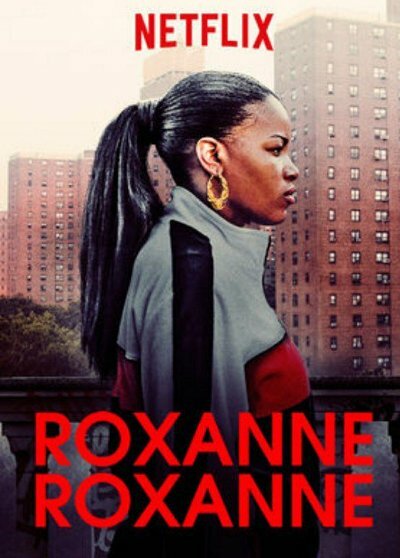 The story of teen battle rap champ Roxanne Shante. Paradox - Neil Young and his band of outlaws sow seeds of strange mischief and musical wonder under Western skies in this dreamlike film by Daryl Hannah. Johnny Winter & Dr. John: Live in Switzerland 1987 - Blues legend Johnny Winter is joined by the equally legendary Dr. John on Swedish TV, recorded in 1987. From the opening notes of Sound the Bell to the finale of a positively incendiary Jumpin Jack Flash, Winter is in great form. The blues and rock take a side trip to New Orleans when the masterful Dr. John joins the band on piano. David Bowie: Stardust - This documentary tells the story of how Bowie became one of the most iconic creations in the history of pop music. From his music, the fashion and the theatrical stage presents which turned Bowie into the biggest craze since the Beatles. Bob Dylan: World Tours 1966-1974 - Barry Feinstein was the exclusive tour photographer on Bob Dylan and The Band's legendary 1966 and 1974 World Tours. Feinstein and Director Joel Gilbert chronicle these epic tours, featuring over 150 selections of Feinstein's finest portraits in this extraordinary document of Bob Dylan and rock music history. Interviews with filmmaker D.A. Pennebaker, Band drummer Mickey Jones and surprise guests. Pink Floyd: On the Rock Trail - The story of Pink Floyd is one of the most fascinating in the history of Rock. Watch and learn about Rock's biggest and most distinctive sounds. Contains no music from Pink Floyd and is not authorized by Pink Floyd or any of their affiliate entities. Bob Marley: Roots of the Man - Robert Nesta Marley, known across the globe as Bob Marley, was the first and debatably only superstar ever to emerge from the third world. He rose from eager rural beginnings and blossomed into a man of such significance and influence that his attempted assassination in 1976 turned out to be politically motivated. Bob’s musical influence is still felt all around the world today, but he was more than just a musician - he had a universal such quality in his messages that transcended race, colour, economic and class.This documentary explores the life of one of the 20th century’s most charismatic and challenging performers. Bob Marley’s renown now transcends the role of reggae luminary: he is regarded as a cultural icon who implored his people to know their history. Nathan East: For the Record - With more than 2000 album credits to his name, 2015 Grammy Nominee Nathan East is one of the most recorded bass players of all time! His sound is legendary and he's the most famous musician you don't know. Justin Timberlake: Suited Up - He is one of the most successful recording artists of the 21st century. From the Mickey Mouse Club to NSYNC, Justin Timberlake is a truly remarkable iconic superstar....This is the story of Justin Timberlake. Eminem: Behind the Lyrics - Rapper, record producer and songwriter Marshall Bruce Mathers III, commonly known as Eminem was born in 1972 in Kansas City, USA. Having sold over 100 million albums worldwide, he is regarded as one of the best selling artists in the world and has been previously ranked as the best selling artist of the 2000's. Eminem burst on to the US charts in 1999 with a controversial take on the hip hop subgenre, horrorcore. His first major label debut album Slim Shady EP contains a provocative fest of violent, twisted lyrics and is claimed to be written from the perspective of his alter ego Slim Shady. While offending an array of individuals and various other artists named in his album lead him to become one of the biggest starts on the planet. Eminem isn't just about controversy and shock value. The often misunderstood major talent has given white rappers credibility with his string of Grammy nominations , his critically acclaimed film 8 mile and three multiplatinum studio albums. Aside from Eminem's musical success, he has continually hit headlines with his turbulent relationship with Kimberley Ann Scott and ongoing legal disputes with his own mother. With an eighth studio album on its way, Eminem continues to take the world by storm. We take an intimate look into the colourful life and career of this bad boy rapper including interviews with industry experts and unseen footage and clips from his most popular hits. Beyonce: Fierce and Fabulous - She is a true global megastar, despite having got married to fellow artist Jay- Z and had becoming a mother to daughter Blue Ivy Carter, Beyonce has continued to top the headlines. This is her story. Selena Gomez: Living the Dream - Follow Selena's journey from child phenomenon to international sensation, with interviews from showbiz experts and Gomez herself. Selena Gomez is living the dream. Migos: Young Rich Nation - The "Migos" now one of the most popular groups in hip-hop, didn't start out that way. It took grind, hustle, determination and a solid foundation behind them. This documentary shows their grind along the way. Cooking up hits in the studio, shooting tons of videos, doing shows everywhere are just a part of what it took to become the biggest group in hip hop today. Murder Rap: Inside the Biggie and Tupac Murders - Two of the most notorious unsolved cases in the history of American crime - the murders of renowned rap stars Tupac Shakur and Biggie Smalls - have been the subject of exhaustive investigations, relentless speculation, and a web of conspiracy theories and dark secrets. Now, for the first time, the true story behind these sensational cases is laid bare in "Murder Rap".